OnLive released Sid Meier's Civilization V: Game of the Year Edition to the marketplace as a PlayPass title. The game is priced at $49.99 in the US ($34.99 PlayPack) and £29.99 in the UK (£20.99 PlayPack). The game is currently also 50% off on OnLive through July 23rd, 11:59pm EDT, and you can get it for $24.99 in the US ($17.49 PlayPack) and £14.99 in the UK (£10.49 PlayPack). Sid Meier's Civilization V: Game of the Year Edition is a turn-based strategy 4X game published by 2K Games and developed by Firaxis Games. The Sid Meier's Civilization V: Game of the Year Edition includes all available scenario packs and additional content packs released before the Sid Meier's Civilization V: Gods & Kings expansion. All Sid Meier's Civilization V add-ons are available for purchase outside of the Sid Meier's Civilization V: Game of the Year Edition in the Ultimate DLC Bundle. Sadly Sid Meier's Civilization V: Game of the Year Edition comes to OnLive without multiplayer and it doesn't look like OnLive plans to enable multiplayer at a later date, as they haven't announced anything regarding multiplayer. You can buy Sid Meier's Civilization V: Game of the Year Edition for the US powered by OnLive. 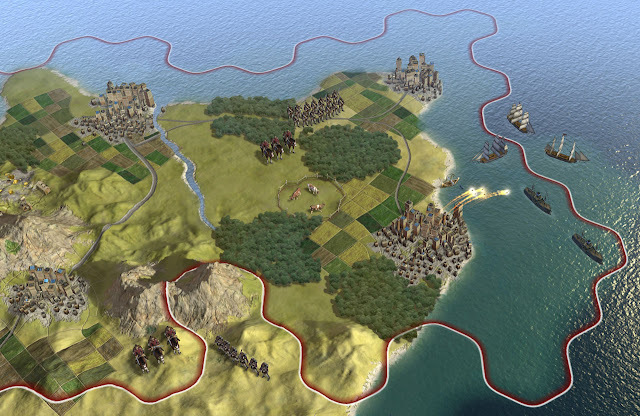 You can buy Sid Meier's Civilization V: Game of the Year Edition for the UK powered by OnLive.